A mere two years after her last multi-million dollar refurbishment, P&O’s Queensland based Pacific Dawn, will undergo another major revamp. on-deck LED screen like sisters Pacific Pearl and Pacific Jewel and self service kiosks to check folios. “We are pleased to announce that both of these things will be implemented and the kiosks are actually being rolled out across the fleet so guests can easily check their folios,” Carnival Australia vice president of hotel operations Sture Myrmell told agents at the company’s Partnership Summit last month. 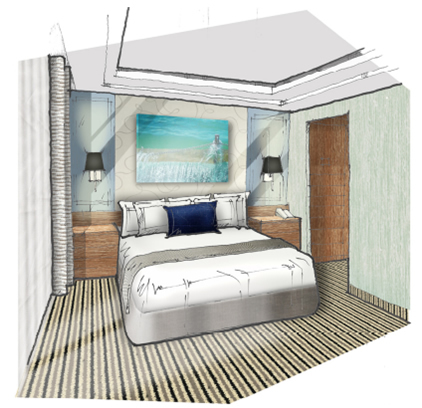 Scheduled for dry dock in April this year, the 2,020-passenger ship will also boast new furnishings, bedding and carpets in her 50 suites and mini-suites and will offer an array of interconnecting cabins at a range of price points ideal for families and groups. 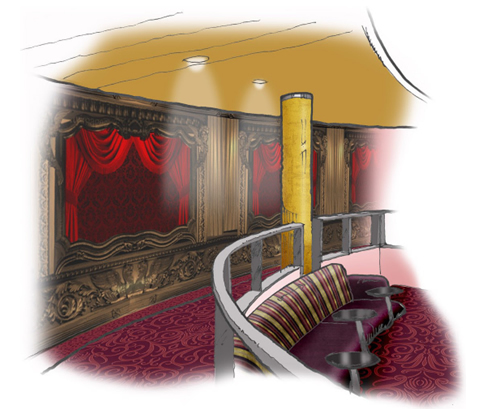 The ‘Bengal Bar’ will become the ‘Orient Pub’, similar to the venue featured onboard Pacific Pearl, complete with sporting memorabilia and a range of draft beers and ciders with the ‘Show Lounge’ also receiving a makeover including new carpeting, upholstery, wall coverings and a new LED screen wall. 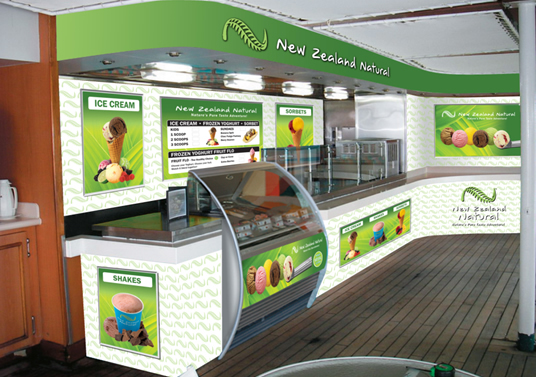 New Zealand Natural Ice Cream will be rolled out on all ships across the fleet starting with Pacific Dawn,offering 16 flavours of ice cream along with an array of shakes and the ‘Baccus Bar’ will transform into the ‘Mix Cocktail Bar’. Passengers can also look forward to a new line up of comedy talent including Tom Gleeson, Mikey Robbins and Cal Wilson. “With more than 400 stand-up comedy performances per year across our fleet, we definitely offer one of the largest selections of laughs in Australia,” Mr Myrmell said. What are your thoughts on the plans to revamp Pacific Dawn? Having sailed on her in 2008 before her last refurbishment, I am keen to see whether the changes really do give her a new lease on life. 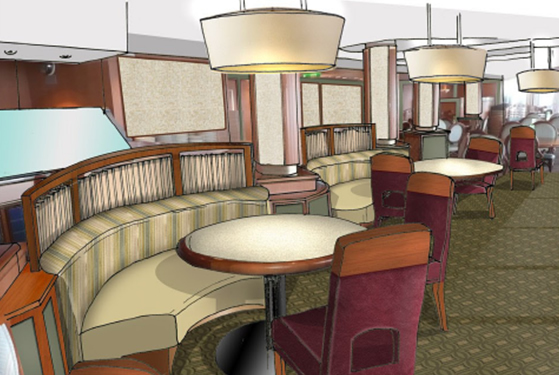 A refurbishment of the buffet will see a new colour scheme and furniture along with a shake-up of the flow to make the dining experience smoother for passengers, while the Pan-Asian restaurant ‘La Luna’ will introduce screens to create a more intimate atmosphere.